The City of San Diego in California has recently started using Neste Renewable Diesel in its vehicle fleet consisting of service trucks, refuse packers, dump trucks, construction equipment, and street sweepers, to name a few. By switching from conventional petroleum diesel to Neste Renewable Diesel, the City of San Diego joins California's cleanest city fleets including the City of San Francisco, City of Oakland, City of Walnut Creek, City of Carlsbad, and County of Sacramento. "Air quality is a significant concern in many cities around the world today. Neste offers a drop-in solution for instantly reducing traffic-related local emissions and improving local air quality", says Kaisa Hietala, Executive Vice President, Renewable Products at Neste. "We are very pleased that our innovative, low-carbon renewable diesel now benefits San Diego, the second largest city in California, as well as its inhabitants", continues Hietala. While the switch from petroleum diesel to waste and residue based Neste Renewable Diesel helps improve local air quality, its use additionally reduces San Diego diesel fleet's greenhouse gas emissions by up to 80 percent, contributing to the city's ambitious climate targets. Over 1,100 vehicles and equipment, representing approximately 25% of the city's fleet, run on Neste Renewable Diesel, and no performance issues have been reported. "This change will make a major part of our fleet greener overnight, creating more environmentally-friendly vehicles that are cheaper to maintain," says Mayor Kelvin L. Faulconer, City of San Diego. "By transitioning to renewable diesel, we're significantly reducing the pollution caused by city vehicles that serve the public on a daily basis. We're leading by example and showing other cities how to make common-sense changes to improve the environment around us", continues Mayor Faulconer. "We are constantly looking for ways to make San Diego's fleet more sustainable, and advancements in alternative fuels are making it possible," said Alia Khouri, the City's Fleet Operations Director. "Renewable diesel is going to help a significant portion of our fleet run much cleaner with less wear and tear on the engines compared to petroleum diesel." 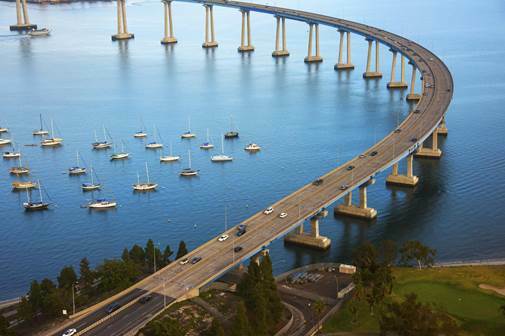 Neste Renewable Diesel is supplied to the City of San Diego by The Soco Group which is one of Neste's distributors in California. "The Soco Group is pleased to partner with Neste to provide the City of San Diego high quality renewable diesel for their diesel fleet. I'm excited that our two companies can work together to provide a cost-efficient and reliable fuel solution to help the City of San Diego meet their climate goals", says Angus McDonald, President of The Soco Group. Using Neste Renewable Diesel produced from 100% renewable raw materials can cut greenhouse gas emissions by up to 80% over the lifecycle of the product compared to petroleum diesel. Its use can reduce levels of local emissions that have a negative impact on air quality. Thanks to the positive contribution to improving urban air quality, it is an excellent alternative for powering city fleet, such as city buses. Neste Renewable Diesel is not the same as FAME-type (Fatty Acid Methyl Ester) conventional biodiesels. Read also: "Neste recognized as world leader for corporate action on climate change, reaching the Climate A List of CDP"